Nigeria's catwalk queen, Blessing Ebbah, has talked about her beauty pageant experiences in the Philippines. 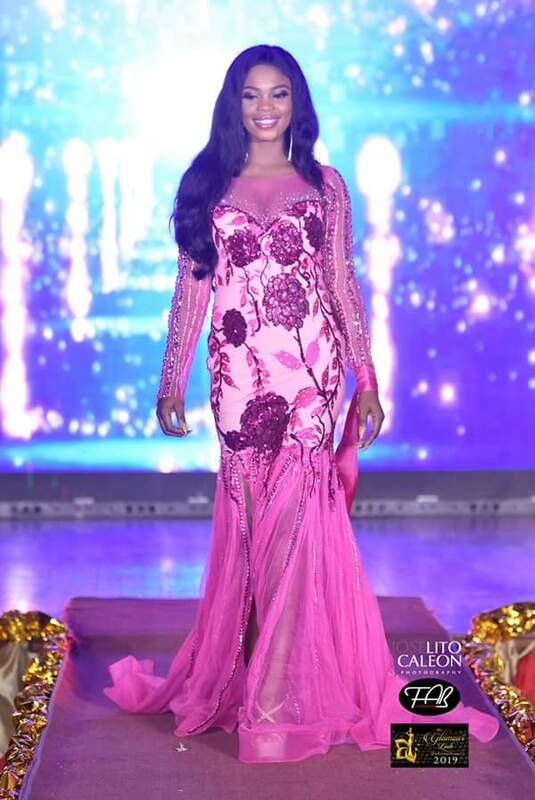 Queen Ebbah recently returned from Philippines where she represented Nigeria at the Miss Glamour Look International. Though she was not crowned the winner, she was capped the best in catwalk and the contestant with the most outstanding personality. Not bringing the main crown home did not damp the spirit of the young lady who is passionate about teaching young Nigerian girls about personal hygiene during their menstrual flow. A passion she turned into a pet project after emerging winner of Most Elegant Girl in Nigeria. “To some extent, yes I was sad I didn’t win the main crown but it was not an easy race. To leave the shores of Nigeria to Philippines to compete with other girls, I am congratulating myself as a winner,” she said. Speaking about what it is like competing in international pageant for the first time, she said that it was like a dream come true for her leaving the shores of Nigeria for the first time. “It was like a dream come true for me. It is a pageant that promotes different cultures from every part of the world. I was really excited meeting different girls from all over the world,” she said. Expressing how she felt about the award as the best catwalk queen, Ebbah stated that it didn’t come as a surprise when she was called to receive the award because she has been winning the best catwalk in almost all the pageants she has taken part in. The catwalk queen also explained that she witnessed firsthand what racism against blacks feels like from some of the girls. “They received us the Africans very well. Their theme was beauty and diversity. Diversity in the sense that despite our different culture, languages, we have to come together as one and that there is beauty in every tribe. Though some of the girls were not so accommodating with us blacks but the Philippines people were very accommodating. Philippines, is home away from home,” she added.